Hello! My name is Cynthia and I am a registered Art Therapist with a masters from NYU. I am reaching out to you today to help fund a passion project of mine. In conjunction of practicing Art Therapy for private clients, I am developing a program for Domestic Abuse Women's Homes. These homes are safe houses where women can come and stay. They are provided food, shelter, counseling, and a plan of action to get back on their feet. They also can bring their children to these homes. And while there is a multitude of free programs for the women, the children are not receiving the same counseling services due to lack of funding. 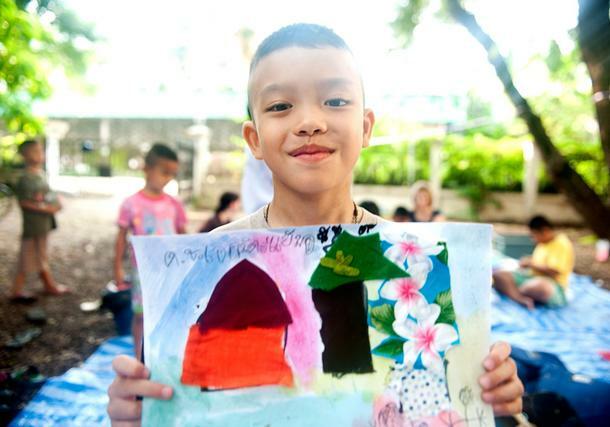 My goal is create and provide a free program to support these children through Art Therapy. I will be attending the 3 different homes on a biweekly basis for a hour class each vist, serving about 90 children in total and teaching 6 classes a week. There will also be opportunities for one-on-one for children that are in need of extra support. In order to get this program off the ground, I am requesting funds for supplies, travel, and extra support as I will be dedicated a great deal of time into this labor of love. Art therapy is a positive and constructive tool for coping, processing, and healing. Art therapy is a form of expressive therapy that uses art materials, such as paints, chalk and markers. It combines traditional psychotherapeutic theories and techniques with an understanding of the psychological aspects of the creative process, especially the affective properties of the different art materials. Art therapy involves the creation of art in order to increase awareness of self and others. This in turn may promote personal development, increase coping skills, and enhance cognitive function. It is based on personality theories, human development, psychology, family systems, and art education. Art therapists are trained in both art and psychological therapy. This type of healing work is a fantastic tool especially with children. Allowing a safe space of creation and communication combined with play, opens channels of healing.